A healthy, balanced diet is not just good for kid's bodies, it's good for their brains, too. The right foods can improve brain function, memory, and concentration. Like the body, the brain absorbs nutrients from the foods we eat, and these 10 "superfoods" on the following slides can help children boost their brainpower. Salmon is an excellent source of omega-3 fatty acids. 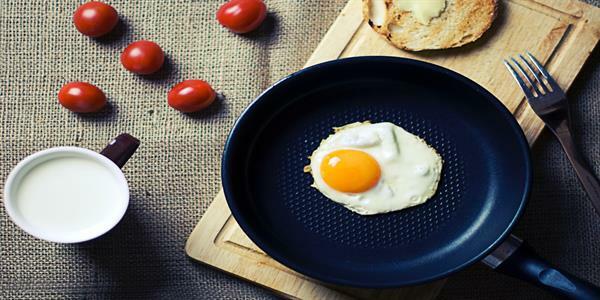 Egg yolks are loaded with choline, which helps memory development. Peanuts are a good source of vitamin E.
Kids love peanut butter, and that's a good thing since this healthy snack is packed with vitamin E, an antioxidant that protects nerve membranes. It also has thiamin, which is good for the brain, and glucose which gives energy. Whole grains provide a constant supply of glucose for the brain. Oats keep a child's brain fed all morning at school. Oats and oatmeal are excellent sources of energy and brain "fuel." Oats are packed with fiber to help keep kids feeling full so they don't snack on junk food. They are also an excellent source of vitamins E, B complex, and zinc to help kids' brains work their best. Studies have shown improved memory with the extracts of blueberries and strawberries. Berries can help improve memory and are packed with vitamin C and other antioxidants. Seeds from berries also contain omega-3 fats that help with brain function. Look for strawberries, cherries, blueberries, and blackberries - the more intense the color of the berry, the more nutrition it has. Beans boost a child's energy and thinking level. Bean, beans, good for the heart… so the saying goes. They are also good for kid's brains since they have energy from protein, complex carbohydrates, fiber, and vitamins and minerals. They can keep energy levels high. Kidney and pinto beans are good choices as they contain more omega-3 fatty acids that other bean varieties, which are important for brain growth and function. Vegetables with rich, deep color are the best sources of antioxidants that keep brain cells strong and healthy. Vegetables with rich, deep color are an excellent source of antioxidants to keep the brain cells healthy. Some veggies to include in your child's diet are tomatoes, sweet potatoes, pumpkin, carrots, or spinach. It's easy to sneak veggies into spaghetti sauces or soups. Replace potato or corn chips in your child's lunch with baked sweet potato wedges or easy-to-snack-on veggies such as sugar snap peas or baby carrots. Recent research suggests that children and teens need 10 times more than the recommended dose of vitamin D.
Iron is an essential mineral that helps kids stay energized and concentrate at school.